For tonight's posting I am resharing a freshly reprocessed photograph that I took is Thailand a year-and-a-half ago. 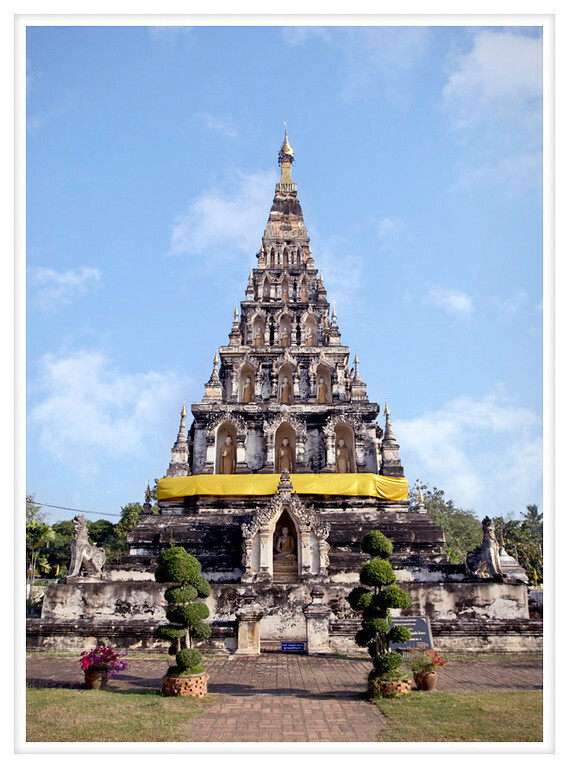 This is a Burmese-style chedi, easily distinguished from Thai-style structures by the strongly squared corners. It is not uncommon to see the influences of Burma in northern Thailand, the countries warred for centuries and here the cultural lines can be blurred. I will admit that I post out of jealousy. My sister Stacey is currently in Singapore and in about a week she will be in Bali. Her travels remind me of my own but with none planned I will admit to being envious of her trip. Despite that I know she and her husband will have a wonderful time on their first trip to Asia and I can think of no better way to start!